Summary: Learn how to find the key property of a WMI class by using a Windows PowerShell function. Microsoft Scripting Guy Ed Wilson here. 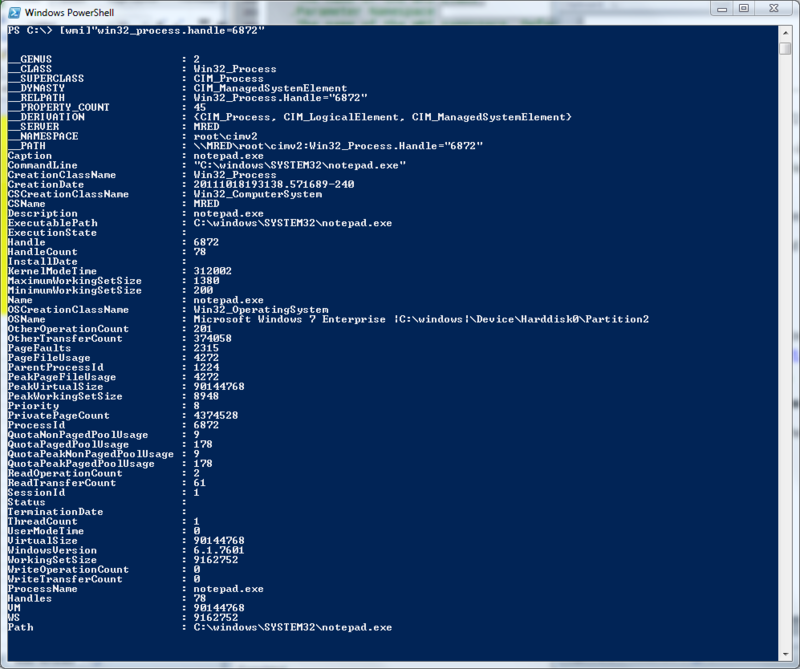 Well, I received a decent amount of feedback about version 1 of my HSGWMIhelper Windows PowerShell module. Today, I want to add a needed feature to the module: I need the ability to find a WMI key property from a WMI class. I added the Get-WMIKey function to the Scripting Guys Script Repository. The command and associated output are shown in the following figure. In the Get-WmiKey function, the first thing I do is create help by using comment-based help (all the functions in my HSGWMIModuleV2 module have comment-based help). The help portion of the function is shown here. Next, I create the input parameters. I use parameter attributes to make the class parameter mandatory, and I assign it to the first position. The remainder of the parameters use techniques I have written about in the past. I included the Get-WMiKey function in the second version of my HSGWmiModuleV2 module. You will find the complete module on the Scripting Guys Script Repository. That’s it for now. See you tomorrow when I will add another really cool WMI function to my WMI module.